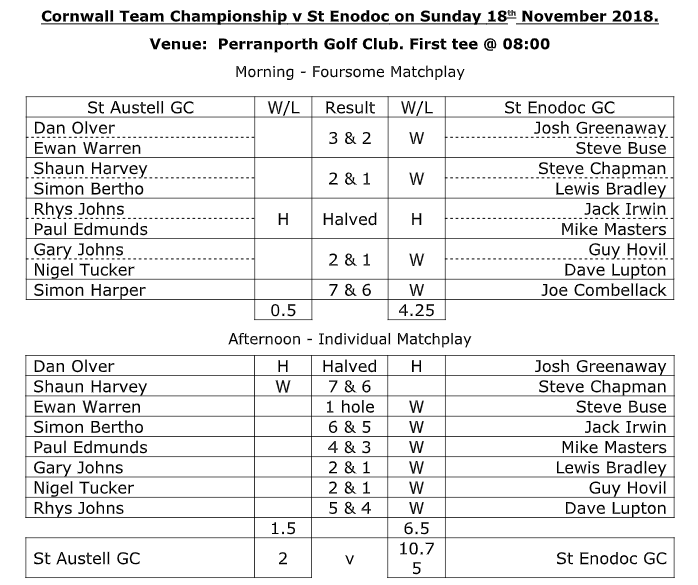 On a cold day at a windswept Perranporth a strong St Enodoc side proved too good for our CTC side. 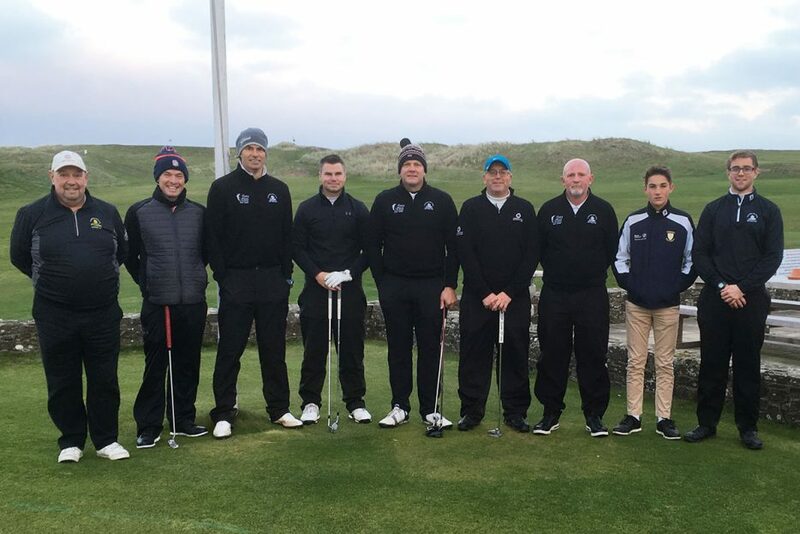 The four foursome matches were in the balance halfway through the morning round but it was St Enodoc who pulled away to take the series 3.5 – 0.5 and then added the 9th man to lunch on a large lead of 4.25 – 0.5. Needing 6.5 points from the afternoon singles our top of the order clearly had the opposition rattled with Dan Olver involved in a close encounter with Cornwall stalwart Josh Greenaway, Shaun Harvey and Ewan Warren racing to healthy leads. However, the rest of the St Enodoc side were proving too strong on a links course that clearly favoured them and they gradually picked up the points to give them a comprehensive victory. 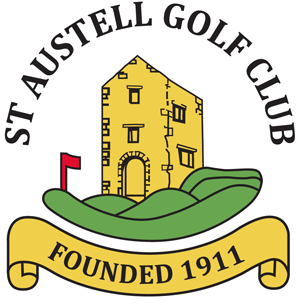 Despite the margin of defeat there were some positives to be taken away – Dan’s halve with Greenaway, Shaun’s excellent victory against former County Champions Chapman, a debut half- point for Paul Edmunds and Rhys Johns in the foursomes while Ewan showed is usual flair, grit and determination even in a narrow defeat. The match was also notable for Simon Harper as it marked the 40th consecutive season he has represented the club in this event without missing a match, a record that is unlikely to be bettered for some time.